Remember those old movies where people are going regularly to the barber shop, looking not only for a stylish haircut, but to talk and socialize? A barber shop was always decorated in a retro style, with the aim of returning to the roots, from the early and mid-twentieth century, when Elvis and old rock and roll ruled, as well as the blues and swing. In those years, the men were gentlemen, who had the style and behavior. They were real men and this is the place for them, haven’t you heard this already? Such pinup aesthetic and tricks of the trade, the use of hot towels, massage of the head and other good services were such a great inspiration for this unique designed pokie machine. One of the most talented studios in the entertainment industry, Thunderkick is a Stockholm-based company which gathers a team of designers with an extensive experience in both classic and themed pokies. Thunderkick paid a special attention to iOS users, because all their games are adapted to work fine with the Apple’s QuickTime platform. At the same time, both desktop and mobile users with Windows and Android operating systems can also enjoy the full potential of this stylish pokie machine. Get $800 Bonus Now >> Play Now! 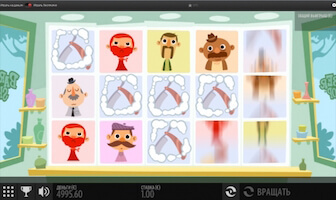 Enter the Barber Shop, a 5-reel pokie machine with 25 paying lines, set in the scenery of a vintage shop, packed with beautifully decorated symbols of barbers with funny looking retro mustaches. There is only one bonus symbol and you can’t miss it, because it has the word “Bonus” written on it. 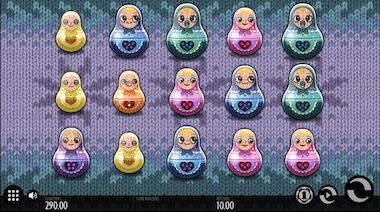 Collect a number of such symbols to start the free spins bonus round. When you form a winning combination – or collect 3 Bonus icons – symbols that formed the combo will get a shaving foam coating and will remain in the place for another round. If you manage to get another winning combination during that re-spin, those symbols will be also covered with foam and remain for a re-spin. Finally, cover all the icons with a shaving cream and once you finish it, the winning symbols will all get a shave and appear silky smooth after the final spin! 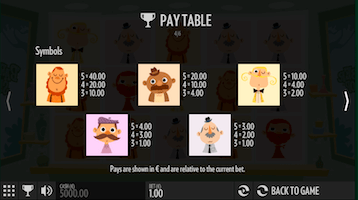 Unlike some other titles from the same provider, Barber Shop doesn’t offer a bunch of functions, but the gameplay is intuitive and the game offers more than user-friendly interface. 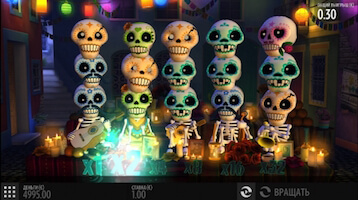 If lucky enough to collect no less than 5 “Bonus” icons, the game will award you with 10 free spins bonus rounds. That’s not near the end: any additional bonus symbol you collect during this round will grant you 2 additional free spins, eventually making the maximum number of 30 free spins. The best part is, all your winnings during this round will be multiplied in a range 1x, 2x, 3x and 5x and with each spin, the multiplier will increase by one level. After the bonus round ends and you’ve used up all the free spins, the game will trigger the innovative Inwinity Spin feature. 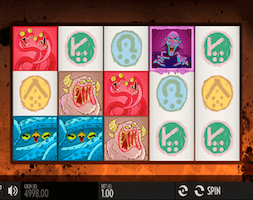 This time, the Inwinity Spin will make your reels continue on spinning until you finally form a winning combination. Don’t worry: it won’t stop before it, because a winning combination in this round is guaranteed. The game’s top prize is a 4.000-coin jackpot, and you can easily calculate the highest potential payout, knowing that coin values starts from $0.10 and may go all the way up to $100. Placed within the barber shop scenery and enriched with the French jazz soundtrack, Thunderkick’s Barber Shop is a beautifully designed pokie machine that features scatters, free spins and guaranteed winnings, all in a good position to boost your bankroll. With a return to player percentage (RTP) of almost 97%, the game is quite a good choice for novice players, but the sizeable jackpot will also attract those with a bit more experience. The Barber Shop looks and feels great on any modern device, so you can enjoy it on your desktop PC as well as play on the go on any iOS, Android or Windows powered smartphone or tablet. We love Casino Luck for their game variety (800+) and withdrawal processing time. Play over 600 online pokies at one of the biggest online casinos in the world.